Admire beautiful blooms at these Portland parks and gardens. Spring brings beautiful cherry blossoms to downtown Waterfront Park. One of the region’s earliest blooming native flowers, trilliums are a common sight in Pacific Northwest forests. These small, white flowers are abundant in Portland’s only state park, Tryon Creek — so abundant, in fact, that the park hosts an annual Trillium Festival each April. If you miss the festivities, you can still find the flowers yourself and enjoy Tryon’s hiking, biking and horse trails all season long. Trilliums also bloom along many trails in Northwest Portland’s Forest Park, which sprawls over more than 5,000 wooded acres (2,023 hectares) and boasts 70 miles (113 km) of paths filled with fascinating flora and fauna. From Forest Park, follow the Beech Trail to Hoyt Arboretum in Washington Park. Home to nearly 1,000 species of shrubs and trees — more than any other arboretum in the nation — Hoyt has plenty to offer all year-round. Spring highlights include bell-shaped Oregon plum flowers, magnolias, blooming dogwood and cherry blossoms. For cherry trees in a more traditional setting, visit the Portland Japanese Garden, heralded as one of the most authentic Japanese gardens outside of Japan itself. And while you’re exploring authentic Asian gardens, don’t miss downtown’s Lan Su Chinese Garden; in spring, fragrant scents of daphne and Edgeworthia enhance this Ming Dynasty-style garden. Visit Southeast Portland’s Crystal Springs Rhododendron Garden in April or May to catch its collection of rare rhododendrons, azaleas and hybrids in full bloom. The garden boasts 7 idyllic acres (2.8 hectares), including three waterfalls, two picturesque bridges and tranquil Crystal Springs Lake, where nearly 100 species of birds feed and nest. For an extra treat, visit on either the first weekend of April or Mother’s Day weekend, when the garden hosts its annual flower shows and sales. A 45-minute journey south of Portland delivers you to Woodburn’s Wooden Shoe Tulip Farm, home to 40 acres of colorful tulips. The annual Wooden Shoe Tulip Festival, held each April, also offers wine tasting, wagon rides, children’s activities, a food court and a marketplace offering freshly-picked tulips and bulbs for fall planting. No flora-viewing adventure would be complete without the City of Roses’ namesake flowers. Both Peninsula Park in North Portland and the International Rose Test Garden boast thousands upon thousands of rare and beautiful rose bushes, which typically begin to bud in early April. To catch them at their peak, visit in early June and don’t miss the Grand Floral Parade at the annual Portland Rose Festival! No matter the structure, architecture, at times, seems to take on a force more powerful than nature. But it’s an illusion. As imposing as brick, iron, and steel appear to be, construction materials often struggle to contain the forces of nature. 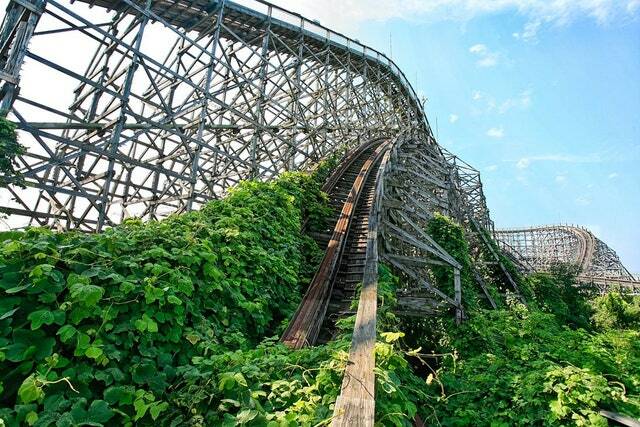 History has shown that, over the years, even the grandest architectural structures will eventually be reclaimed by the powers of vegetation. And sometimes, the result of this process is quite breathtaking. Here, AD surveys ten of the most striking examples of nature clinging to, and at times engulfing, the architecture in its path. If nothing else, you may never look at a field of green in the same way again. 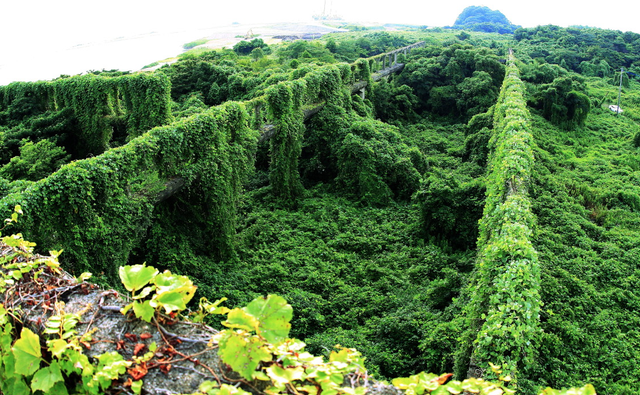 This abandoned seaside town on Shengshan Island, located due east of Taizhou in the East China Sea, has been been slowly overtaken by verdant vines. 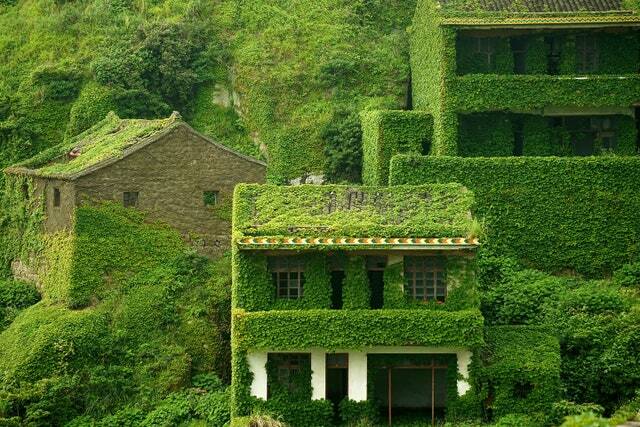 The island once housed a colony of fisherman, who have since moved back to live on mainland China, leaving the town empty and ripe to be overtaken by the greenery. At one point intended to be the Disneyland of Japan, Nara Dreamland was initially opened in 1961. Yet, after Tokyo Disneyland was opened in 1983, Nara Dreamland became an afterthought for visitors. The park closed in 2006, and became overrun with greenery. In 2016, the entire complex was finally demolished. Along the southwest coast of Italy, near the island of Capri, is the historic valley of Vallone dei Mulini. 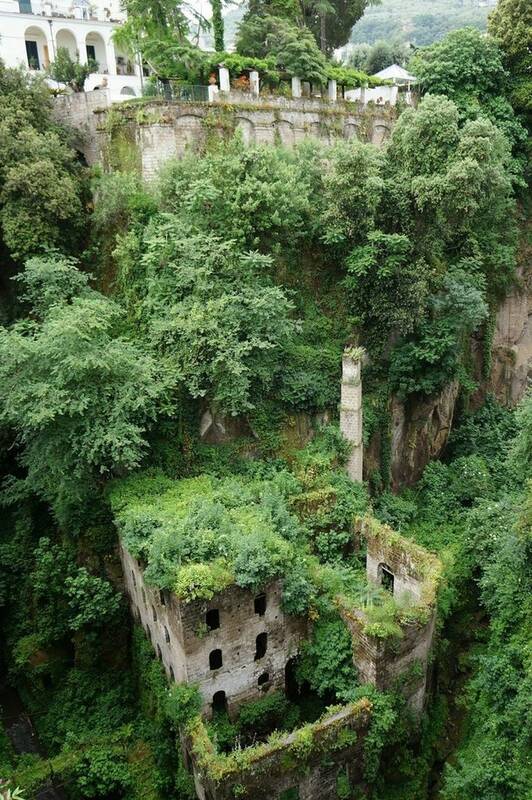 The topography was created from a volcanic eruption some 35,000 years ago, and deep within it, a derelict 19-century mill that has been overrun by vegetation. 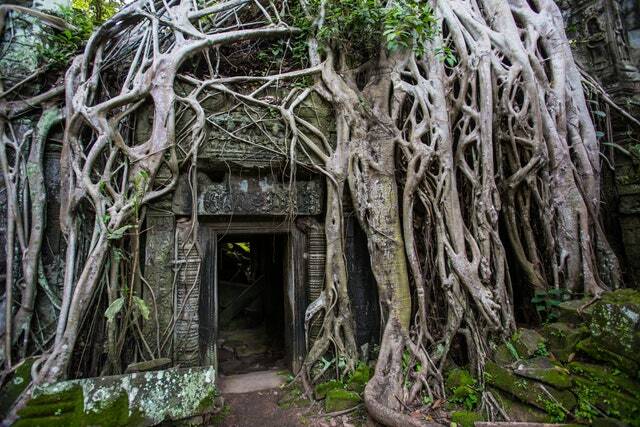 Deep in the jungle of northern Cambodia is Angkor Wat. Covering nearly 400 acres, the temple complex was the capital of the Khmer Empire, whose rule ended in the 15th century. Since that time, the jungle has crept back around and oftentimes on top of the former shrines. Today, the UNESCO World Heritage Site brings in over two million tourists each year. 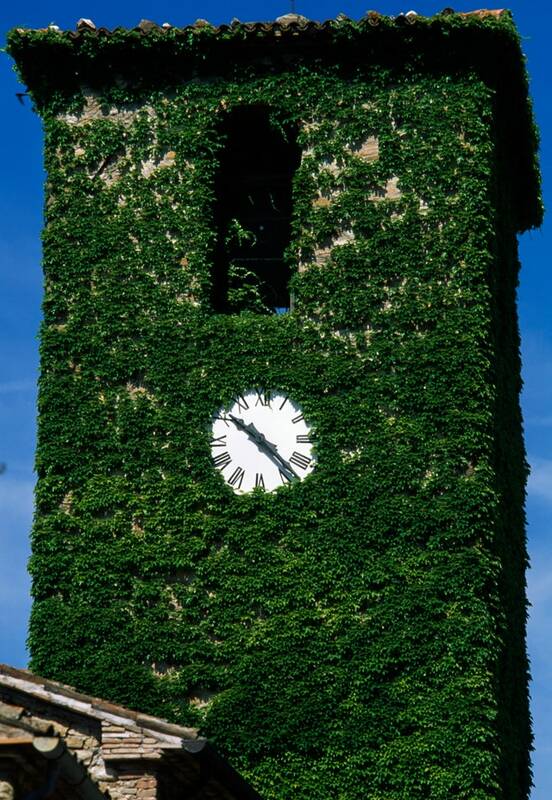 Located roughly 90 miles east of Florence, Italy, is the Parco Sasso Simone e Simoncello, a regional park that contains this clock tower, which is covered in lush foliage. 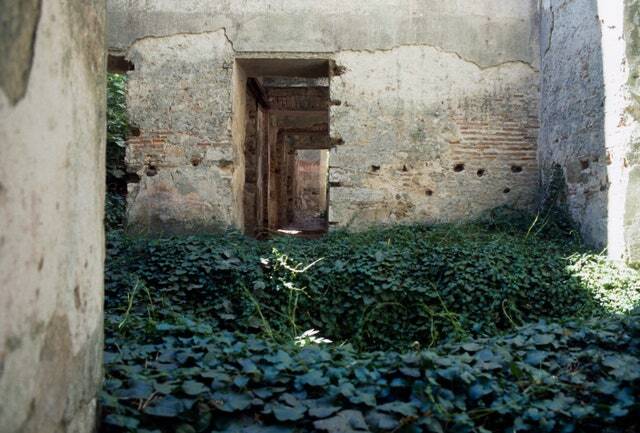 An abandoned villa in Alentejo, Portugal, a town that is about 160 miles northwest of Lisbon. 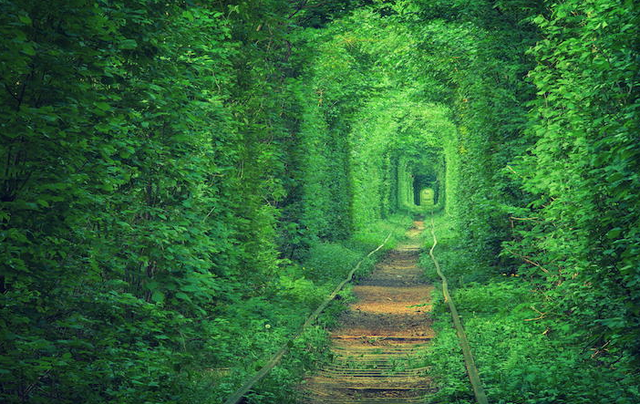 The Tunnel of Love—a railroad that links Klevan, Ukraine, to nearby Orzhov—has become a popular destination for couples to walk along. The overgrown tracks, which run a little more than three miles, are shaded in beautiful greenery from the surrounding forest. Located near the southern tip of Japan is the Kawaminami Shipyard. Built next to Imari Harbour, the structure was once a glass factory and was later converted into a dockyard. It has been abandoned for decades. 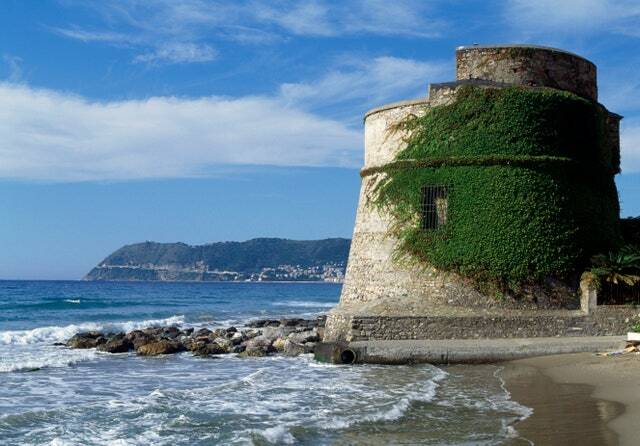 Built in the 16th century, Torrione della Coscia is an eye-catching watchtower that sits along the shores of Liguria, Italy. 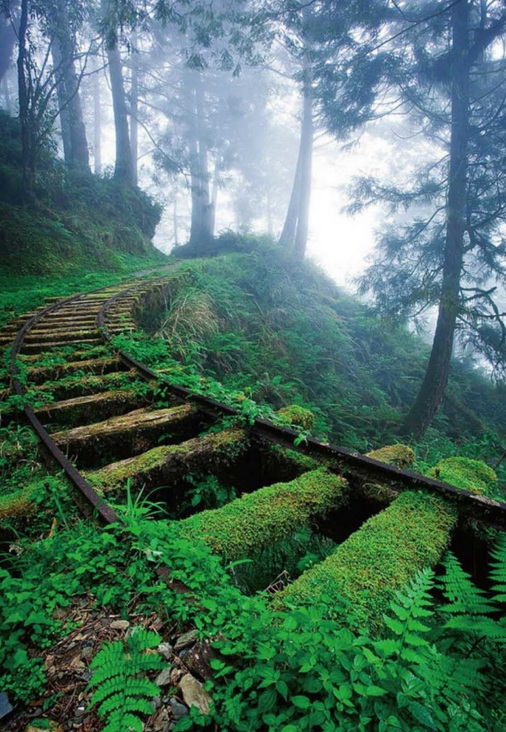 The railroad tracks in Taiwan’s Taipingshan National Forest rise over 1,240 feet above sea level. The trails were once used to transport logs. South Dakota narrowly overtakes Oregon, which held the top spot for the previous three years, as the nation’s “Top Moving Destination.” This is the first time South Dakota has held the no. 1 spot. Vermont inched out Oregon for the no 2. position, with Oregon rounding out the top three. Those are the results of the United Van Lines’ 40th Annual National Movers Study, which tracks customers’ state-to-state migration patterns over the past year.